Seasonal menu changes are not a surprise at most self-respecting restaurants, but afternoon tea offerings tend to be less changeable due to the amount of work that goes into designing such offerings. 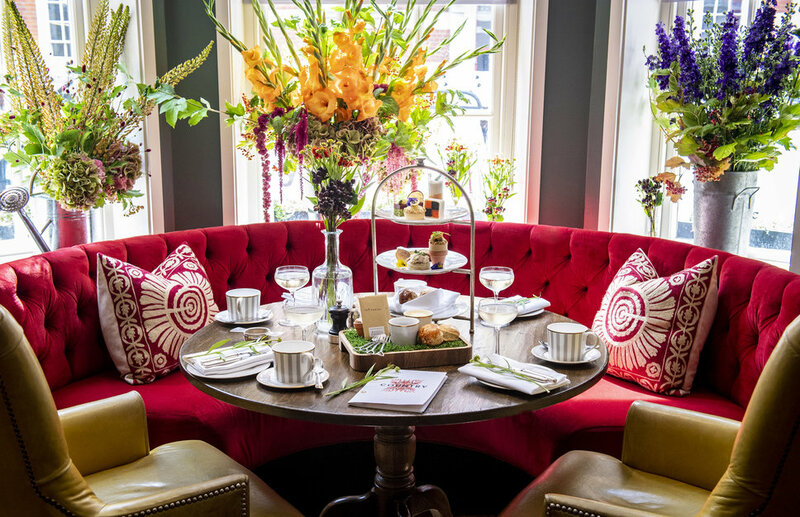 However, at 108 Pantry in Marylebone, they take great pride in their afternoon teas and have recently launched an autumnal version which is based on an English country garden. 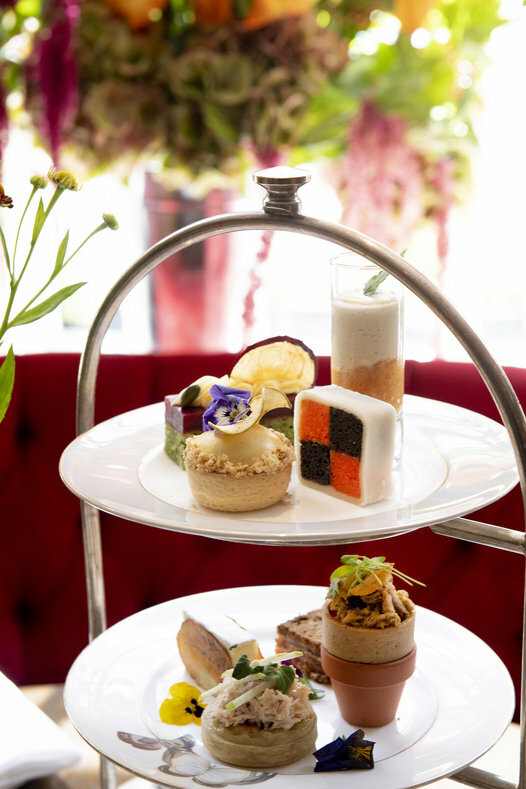 Executive chef Russell Ford and pastry chef Moinal Islam have created the quintessential English tea experience which is culinary joy whether you are a savoury or sweet-toothed person. 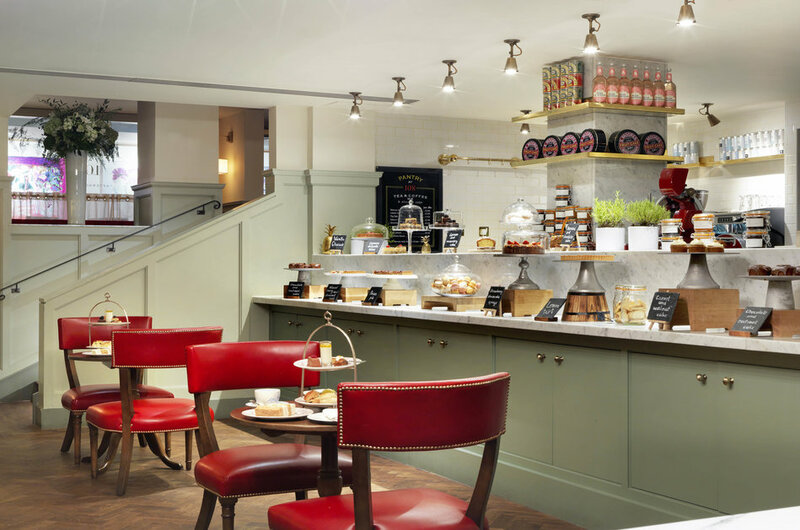 108 Pantry is situated at the well-respected and ever-popular Marylebone hotel which is on the relatively quieter Marylebone Lane compared to the hustle and bustle of neighbouring West End areas. 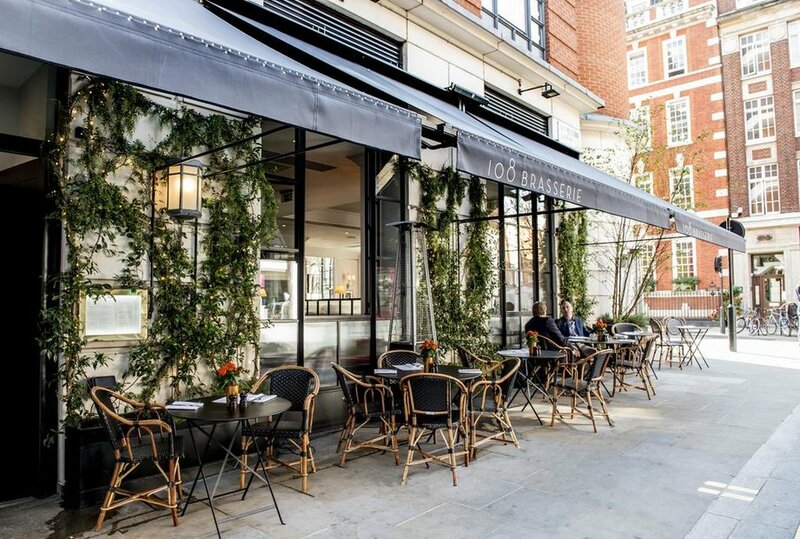 The decor is chic, modern, bright and always have an abundance of greenery so that even though you might be in the centre of London, you do feel the relaxing vibes of the country garden. Their menu starts off with an elegant poem from the great Cecil Lees, before introducing us to a wonderful selection of English sparkling wines. We were treated to a real gem in the form of Hush Heath Estate’s Balfour Leslie’s Reserve NV Wine. On the palate, it is expertly balanced between the crisp acidity and a hint of sweetness from English apples. With the warmer summers, we are getting in the UK these days, expect the demand for English sparkling to grow even further. The savoury selections were one of the highlights of the experience, as you do get plenty of varieties compared to the formulaic offering of just finger sandwiches. The freshness of the Dorset crab crumpets contrasted well with the hearty flavours in the Coronation chicken tartlet. Although, I did have a lengthy discussion with my guest who is the Director at Borough Kitchen on the virtues of using Guinness brown bread with smoked salmon (as you might guess, I am not a fan). The scones weren’t quite as fluffy and light as I had hoped and it would have been nice if they were served warm, but they did try new ideas with a pear and cardamon variety. The other sweet options were equally varied and generously portioned including the lights of apple & blackberry custard tart and chocolate & orange Battenberg. The chef clearly has an eye for finding the right ingredients to pair up with. 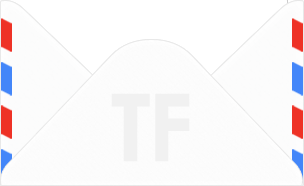 The all-important tea offering is from The Rare Tea Company founded by Henrietta Lovell and they not only source the best teas from around the world but also make sure they are sustainably sourced. With the importance of dietary requirements these days, they’ve come up with a gluten-free option for their afternoon tea as well. Make sure you experience the best of the English country garden soon at the wonderful 108 Pantry.